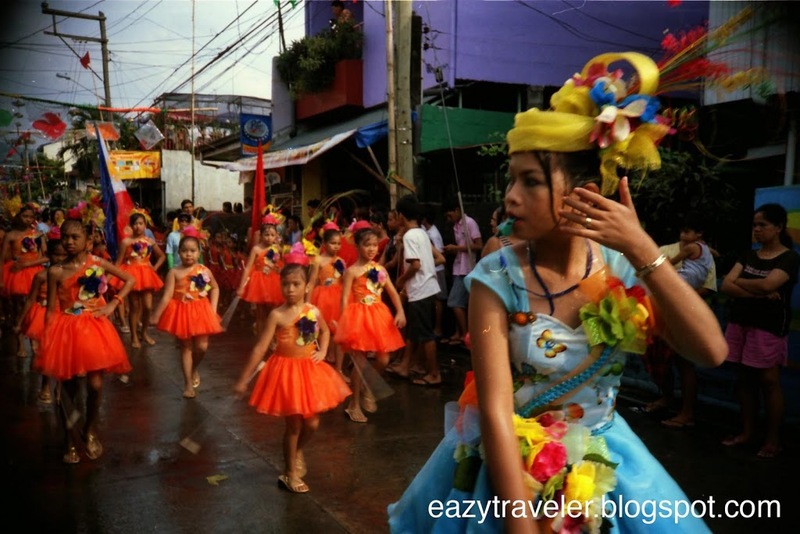 Religious revelry and local fanfare characterize most festivals in the Philippine islands. One such festive celebration occurs a stone’s throw away from Metro Manila. Every November 23, the lakeside town of Angono in Rizal province wakes up to a big and bright celebration in honor of the town’s patron, St. Clement. The “higante” tradition of Angono began last century, when the town was a Spanish hacienda. The hacienda owners concerned about costs prohibited all celebrations except for one annual fiesta. The townspeople concerned about enjoyment decided to make the best of a bad situation. Using papier-mache artistry brought from Mexico by Spanish priests, they created larger-than-life effigies of their Spanish landlords as an inside joke. Prepare to get wet during the parade! In a tradition called “basaan” done during some Philippine town fiestas including this one, locals drench performers and onlookers alike with water in mischievous fun and as a symbolic blessing. It also brings relief to tired paraders. Yes, this can pose a serious threat to your cameras. Keep your babies safe with Ziploc, and take them out swiftly to shoot. Or the best option would be to bring your underwater/waterproof camera only. After the procession, watch out for the fluvial parade at Laguna de Bay, where St. Clement and other images are loaded onto festooned pagodas that are ferried off along the lake accompanied by several fishing boats loaded with local well-wishers. Jeepneys and FX vehicles (PHP 35.00) bound for Angono can be found at Cubao or EDSA. I took a ride from EDSA Central at the intersection of Shaw Boulevard and EDSA (aka “Crossing”). When traffic is at ease, travel time would only take 45 minutes or less.